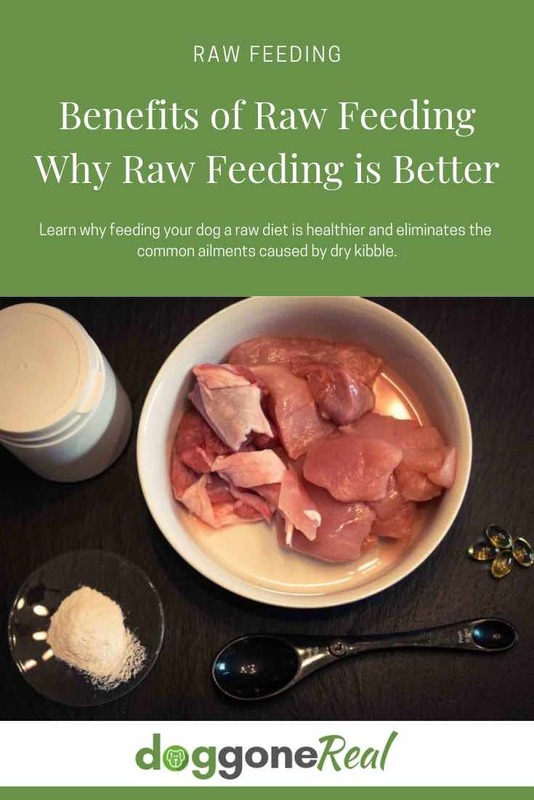 Learn about the many benefits of raw dog food and why feeding your dog a wholesome, natural, raw diet is healthier and eliminates the common ailments caused by dry kibble. Most brands of dog food commonly available to well-intentioned pet owners come with a list of ingredients per US government guidelines, so when we read the labels we assume what we’re getting is everything our darling doggies need. 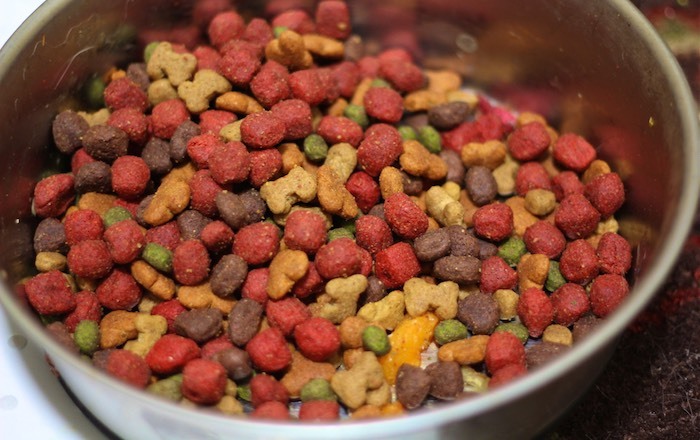 A common dog food ingredient is corn, which might compose a large portion of many brands of kibble, but smart humans know corn is just empty filler and would avoid such food if it were the first ingredient on the label. But by splitting corn into different categories like corn, corn meal and corn flour, all these corn products are delegated to lower percentages, pushing them further down the list, so meat ingredients, which are often dubiously lumped together, can rise to the top. It’s all perfectly legal – and makes for imperfect nutrition for your precious pooch, especially since grains are hard for dogs to digest. Yes, these are very common problems — but they shouldn’t be. In contrast, raw feeding offers many benefits. If you’ve never seen your dog gnaw on a meaty raw bone before, you’re in for a treat! Nothing is more natural or instinctive to a dog than to chew on bones, naturally cleaning its teeth and strengthening its gums in the process. 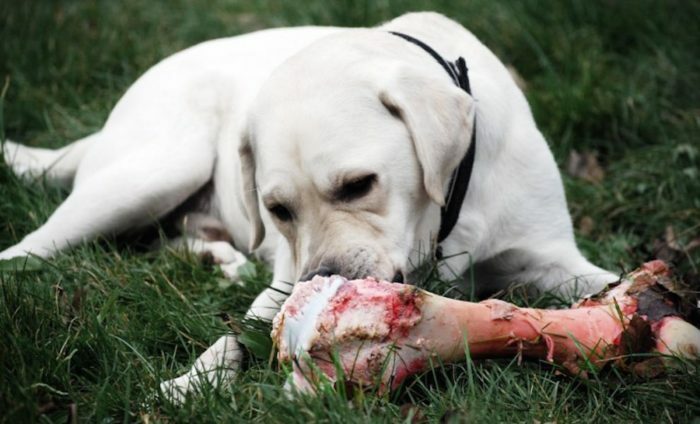 Given regularly, raw edible bones will improve your dog’s breath along with its teeth, gums, bones and overall health. This is just one of the many benefits of raw feeding. Gives dogs plenty of lean protein, which their digestive tracts were designed to metabolize easily and swiftly for both short- and long-term energy. 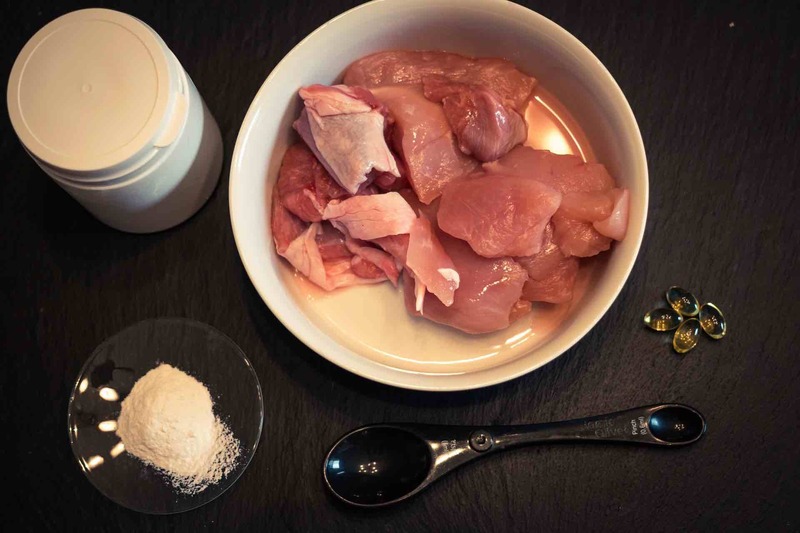 Includes organ meats that provide dense nutrition and enhanced immune function. Includes bones that naturally remove tooth-, gum- and heart-damaging tartar from teeth for better health and sweeter breath. NOTE: there’s no need to worry about bones splintering and choking your dog: raw bones don’t fracture like cooked or dehydrated bones. They are soft and meant to be ingested to provide excellent nutrition – and maximum fun – for your dog. Immediately: Your dog will eat with renewed interest, pleasure and excitement. Nearly all dogs immediately go for the raw foods their bodies crave. If yours is picky, it’s easy to transition your dog from kibble or cooked food to raw foods. Within Months: Increased alertness and stamina, reduced or eliminated allergies, reduced arthritis, a healthier weight, better breath and oral health, whiter teeth, and an overall happier pooch! This means, that with a raw diet you have a happier, healthier dog and a much happier human too. Oh, and a fatter, happier wallet since you greatly minimize your vet bills. Every dog lover agrees they want the best for their dogs, but isn’t raw feeding expensive? Not everyone has the money to indulge their dogs this way, no matter how much we love them, right? Happily, raw eating is absolutely affordable! While wholesome, natural foods may cost a bit more than grain-laden kibble, you’ll save money on vet bills in the long-run. Another doggone enormous benefit! No bones about it – dogs prefer what’s good for them. Before you doubt raw, try it out.